We are happy to announce that SEP was named a 2018 Gartner Peer Insights Customers’ Choice for Data Center Backup and Recovery Software. The Gartner Peer Insights Customers' Choice is a recognition of vendors by verified end-user professionals, taking into account both the number of end-user reviews and the overall user ratings. The customers independently and confidential rate the backup software they use. 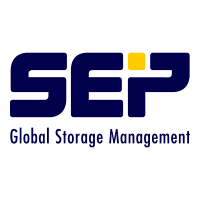 SEP is 1 of only 7 vendors worldwide awarded the 2018 Gartner Peer Insights Customers‘ Choice for Data Center Backup and Recovery Software. The result is shown in Gartner Peer Insights Customers‘ Choice with a 4.7 out of 5 stars based on 135 reviews as February 20, 2018. A reliable and flexible tool, just made to keep data-disasters away. Supports many operating systems; support team is very prompt, thorough, and courteous. Great backup software for any company! For more information on deploying SEP sesam please see our web site and contact CustomTech (email info@customtech.com.au or call) to arrange a FREE evaluation and discuss your needs.